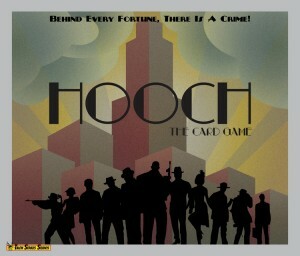 Club Fantasci shows off Hooch, a game they consider to be the epitome of "doing marketing right." Every now and then something comes across the desk that just makes you go “Yeah! These people get it!” I am going to share an example with you of what I am talking about. It doesn’t mean they get everything, but it does mean they see the big picture and where marketing really, actually starts. It’s what makes things go viral because someone is so impressed the go the extra mile by the absolutely amazing effort put in by someone else. The other day I received a copy of “Hooch” by Talon Strikes Studios and took a picture of it quick and tweeted it say something like”Hell yeah! How cool is this?” We today, I finally got a chance to actually look at it and holy crap was I impressed and you should be too. Very rarely do I see something this well done on the level of this from a person who isn’t already an established company with a bank roll to make something like this happen in any industry.